Crime pattern theory claims that busy places generate crime through immediate and delayed exploitation. In delayed exploitation, offenders notice criminal opportunities during opening hours but return to exploit them later. 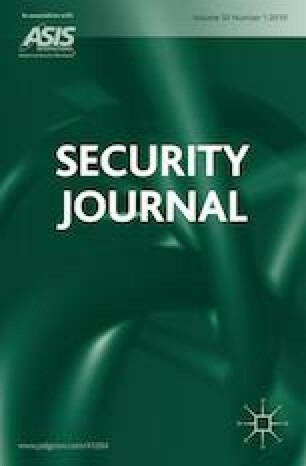 This study investigates delayed exploitation by testing whether soccer stadiums locally increase police-recorded property crime on non-game days. A soccer stadium closure created a natural experiment. We estimate linear regression difference-in-difference models to compare crime rates on non-game days around the stadium, before and after the closure. The closure reduced non-game day property crime beyond the citywide property crime drop. We conclude that criminogenic effects of busy places extend beyond their opening hours, confirming the delayed exploitation mechanism and that crime-prevention strategies should also target these places outside opening hours. Christophe Vandeviver is a postdoctoral Fellow of the Research Foundation - Flanders (FWO). Part of this work was carried out while Christophe Vandeviver was an International Fellow at the Netherlands Institute for the Study of Crime and Law Enforcement (NSCR). Christophe Vandeviver’s contribution to this study was funded by the Research Foundation’s – Flanders (FWO) Postdoctoral Fellowship funding scheme and the Research Foundation’s – Flanders (FWO) Long Stay Abroad funding scheme [FWO15/PDO/242 to C.V., V4.303.16 N to C.V.]. Fod Economie Algemene Directie Statistiek - Statistics Belgium. 2017. Fiscale statistiek van de inkomens - 2005-2015 [Online]. Statistics Belgium. Available: http://statbel.fgov.be/nl/modules/publications/statistiques/arbeidsmarkt_levensomstandigheden/Statistique_fiscale_des_revenus.jsp (Accessed November 6, 2017).